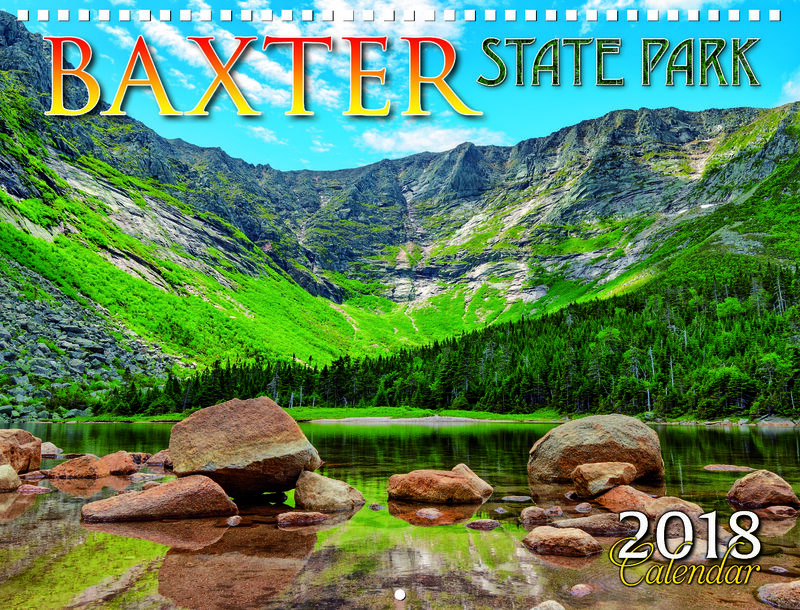 2019 Baxter State Park calendar, featuring photographs taken in Baxter State Park in every season of the year. Published by Maine Scene, a family-owned business in Union, Maine. By Glen H. Mittelhauser, Jensen Bissell, Don Cameron, Alison C. Dibble, Arthur Haines, Jean Hoekwater, Marilee Lovit, and Aaron Megquier. Maine’s Baxter State Park is one of the most ecologically diverse and beautiful protected sites in the northeastern United States. 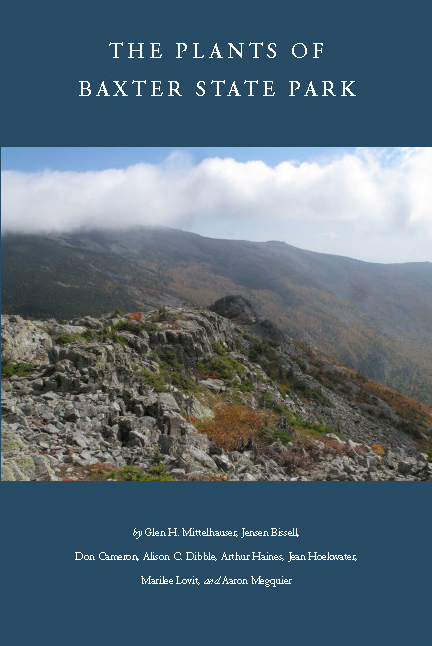 The Plants of Baxter State Park presents scientific descriptions of all 857 plant species known to occur in the Park. This extensively researched guide also includes useful keys, illustrated plant-family sections, an informative introduction, a glossary of botanical terms, an extensive index of scientific and common names, and over 2,000 full-color photographs. 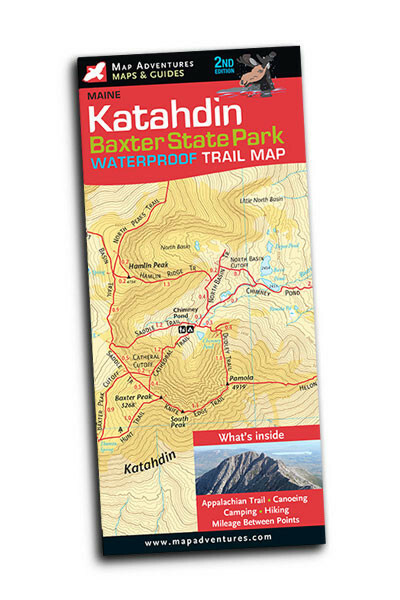 Waterproof map of Baxter State Park and Katahdin, published by Map Adventures. 2015 edition. By Howard R. Whitcomb. 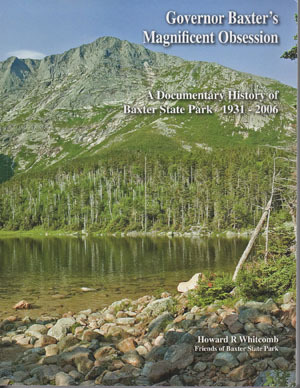 An essential reference work for anyone interested in Baxter State Park. Features an excellent historical essay on the creation of the Park, the complete Deeds of Trust, documentation on land acquisitions after Baxter's death, maps, and useful annotations throughout. Friends of Baxter State Park, 2008. By Connie Baxter Marlow. A photographic exploration of the Park's wilderness values, featuring selections from Governor Baxter's writings. Tilbury House, 1999. 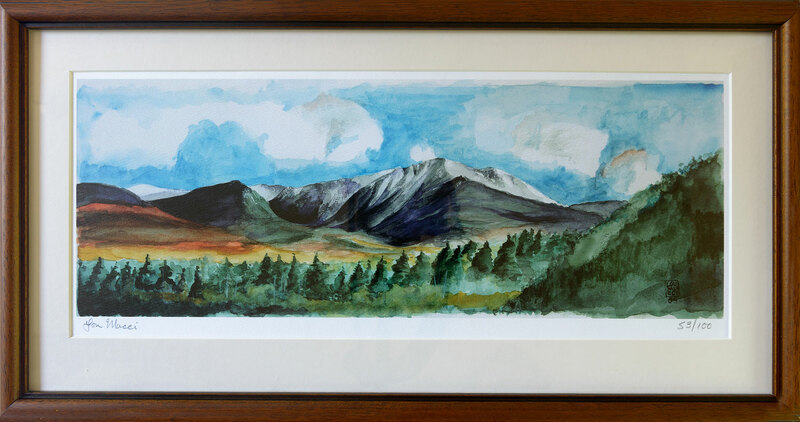 Professionally framed print of Lou Mucci's watercolor "Katahdin." Each print individually numbered by the artist. High quality print of Lou Mucci's watercolor "Katahdin", individually numbered by the artist. Unframed. 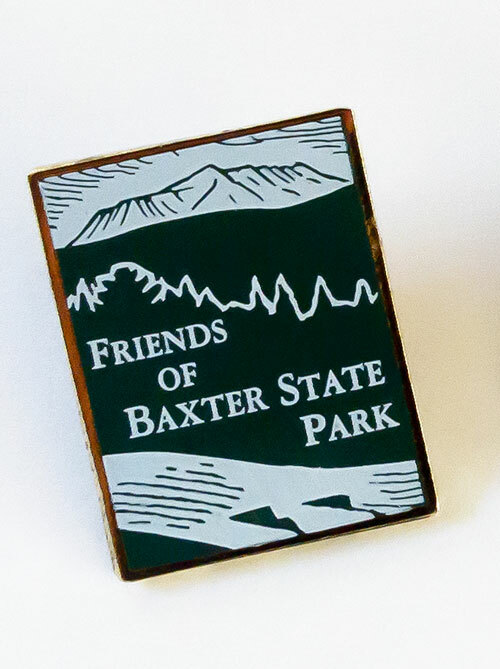 Lapel pin featuring the Friends of Baxter State Park logo. White and green logo on gold metal pin. Measures 1.25" tall by 1" wide. 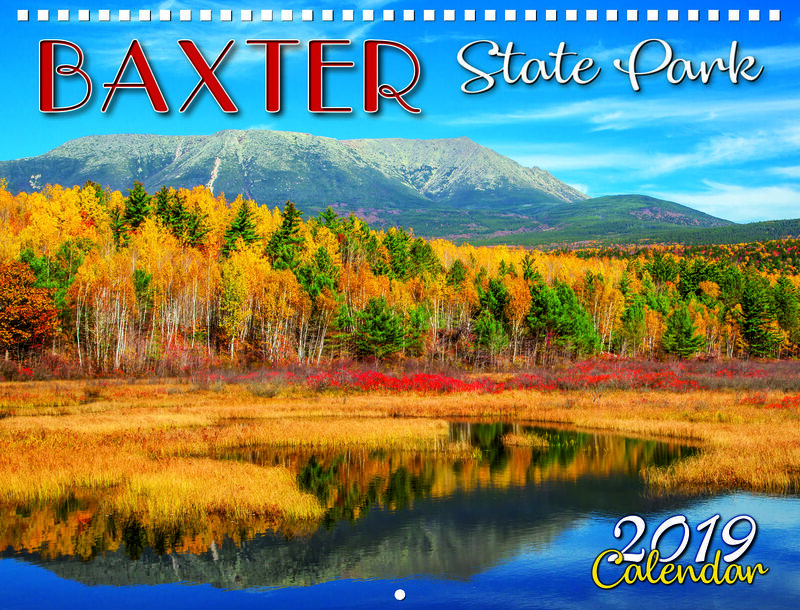 2018 Baxter State Park calendar, featuring photographs taken in Baxter State Park in every season of the year. Published by Maine Scene. This beautiful map of the Wassataquoik Valley was published in 2018 by Gary McG. Boone and Barbara Bentley, with cartography by Bill Duffy. The map covers the entire Wassataquoik watershed, and features a range of historical sites, including logging camps and dams. 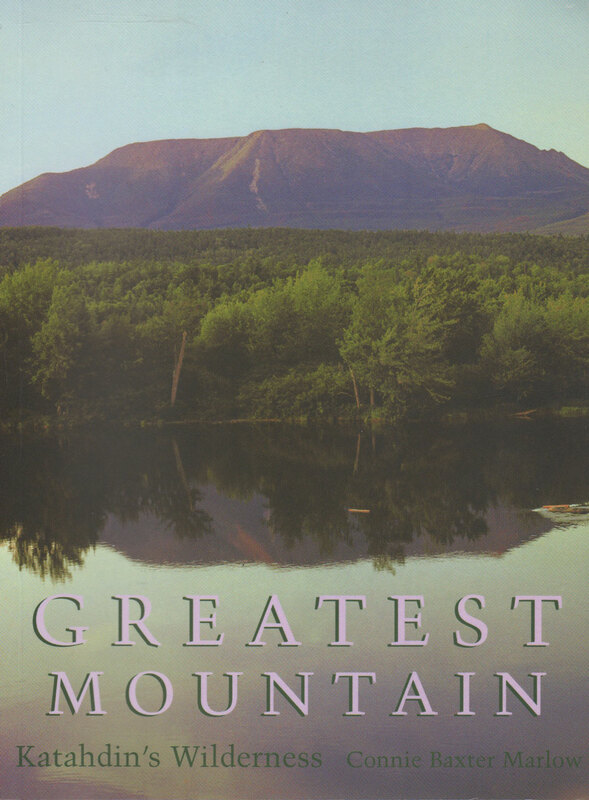 A must for historians of the Katahdin region and anyone who loves the spectacular wilderness of the Wassataquoik!